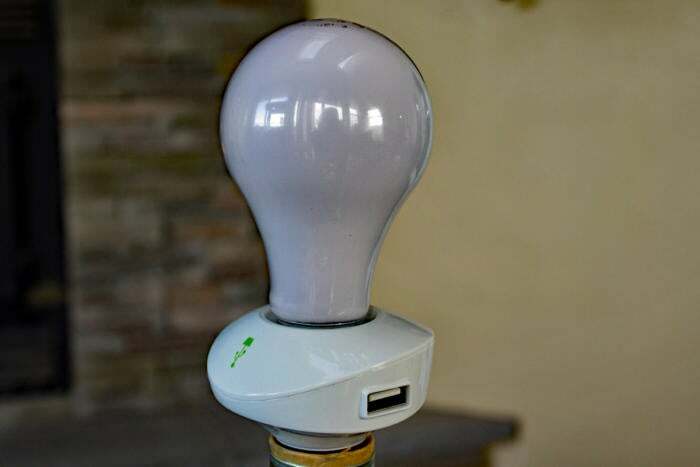 This gadget turns most any lamp into a readily accessible USB charger. No matter how many USB chargers I accumulate, I can never find one to charge my phone before I climb into bed. The LampChamp won’t fix that problem for me because have an atypical bedside lamp, but it might work for you. 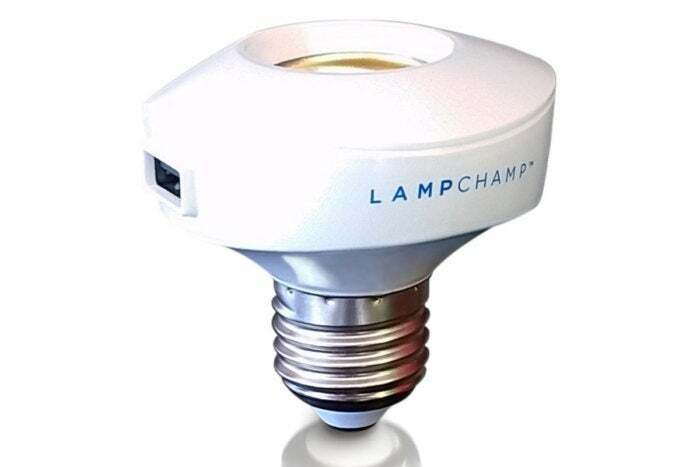 The LampChamp has a male E27 base on one end, a female E27 socket on the other, and a USB Type A socket on the side that puts out 2.0 amps of power to charge your phone, tablet, or e-reader. If you have a newer phone or any other device that’s equipped with a USB Type C charging socket, you’ve probably already stopped reading. While it will work with a Type C cable that’s Type A at the other end, it won’t charge your phone as quickly as possible. And you probably have other devices—a tablet or an e-reader, for example—that wind up on your bedside table at night. The LampChamp has a USB charging port on one side. Here’s how it works: You screw the LampChamp into your lamp, screw a lightbulb into the LampChamp, plug in a USB Type A cable, and voila! You have semi-permanent USB charging station. My problem is that my bedside lamp has three E12 candelabra sockets, which the LampChamp won’t fit into. I swapped the lamp out for a more conventional model for this review, and I found this gadget to be pretty handy. But not enough to replace my lamp—it’s one of a pair on either side of the bed. You need to leave your lamp powered on for the charger to work, of course, so the LampChamp has a small toggle switch on one side that turns off just the socket your light bulb is screwed into. It’s great, as long as you don’t mind having a cord dangling below the lamp shade (yeah, you could unplug it when you’re not using it, but you know that cable will grow legs if it’s not plugged into something). You’ll also want a lamp that’s stable enough to withstand a tug on the far end of the cable when you plug it into your device. There’s a switch on the other side to control the light bulb. 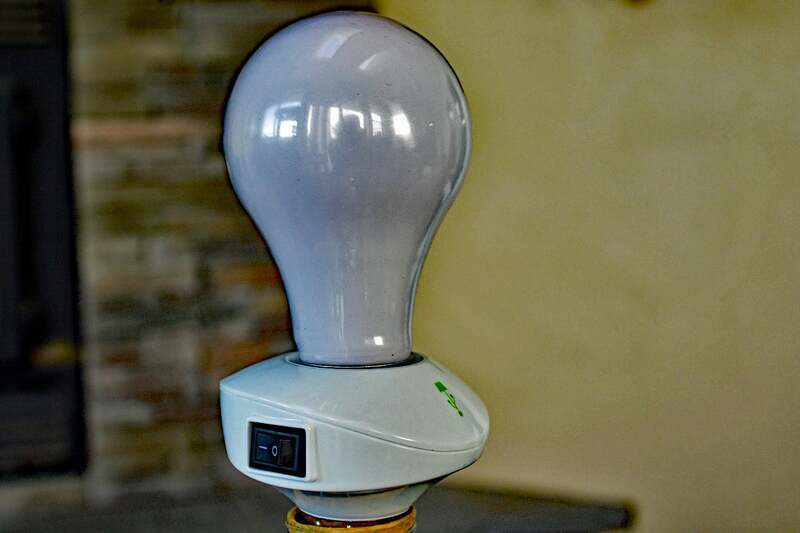 The LampChamp is not a smart device—you can’t control it with Bluetooth, Z-Wave, or a HomeKit controller—but you can screw a smart light bulb into it. 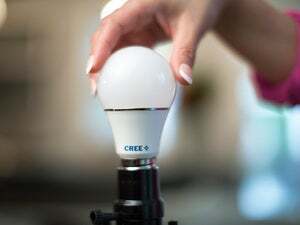 Use something like a Philips Hue bulb, for example, and you could control the light with your phone or link it to an Amazon Echo and control the light with your voice. Just for fun, I installed an iDevices Socket that I’m reviewing and was able to control the bulb using both Siri and Alexa (you can connect Apple HomeKit devices to Amazon’s digital assistant, too). That was fun, but stacking the two devices on top of each other raised the lampshade high enough to expose them, which wasn’t very attractive. Price is the only other factor that needs consideration. 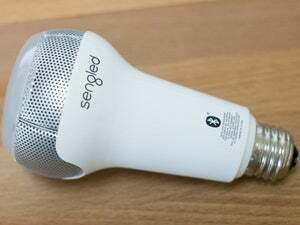 As handy as it is, the LampChamp is way too expensive at $30 a pop; indeed, the manufacturer has discounted the gadget to $20 on its website. 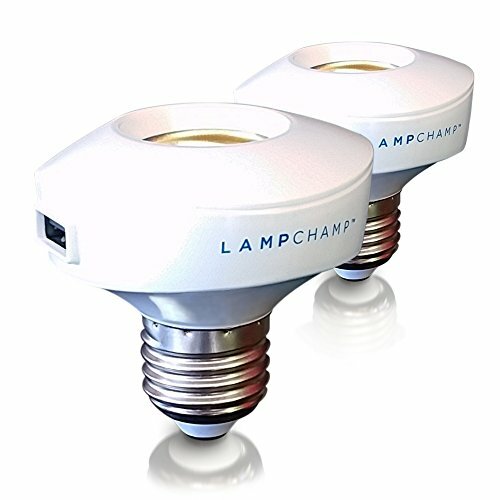 But here’s a tip if you’re thinking of buying one: Check the prices on Amazon—the etailer offers a LampChamp two-pack for just $25. Now that’s more like it. This is a clever way to put USB chargers in very convenient places, provided you have lamps in convenient places (instead of overhead lighting). .